Life is Feudal • View topic - [RP] Knights of the Eclipse is looking for you! [RP] Knights of the Eclipse is looking for you! Welcome to Knights of the Eclipse! We're an RP guild with both knights and vikings living together side by side, all faiths are welcomed. We have members from many countries and covers a lot of timezones, so you will most likely have company while playing! We accept new and old players to join our ranks. In theese dark days after the great plague Abella is suffering and need men and females to reproduce and fill the world with life, joy and activity once more! 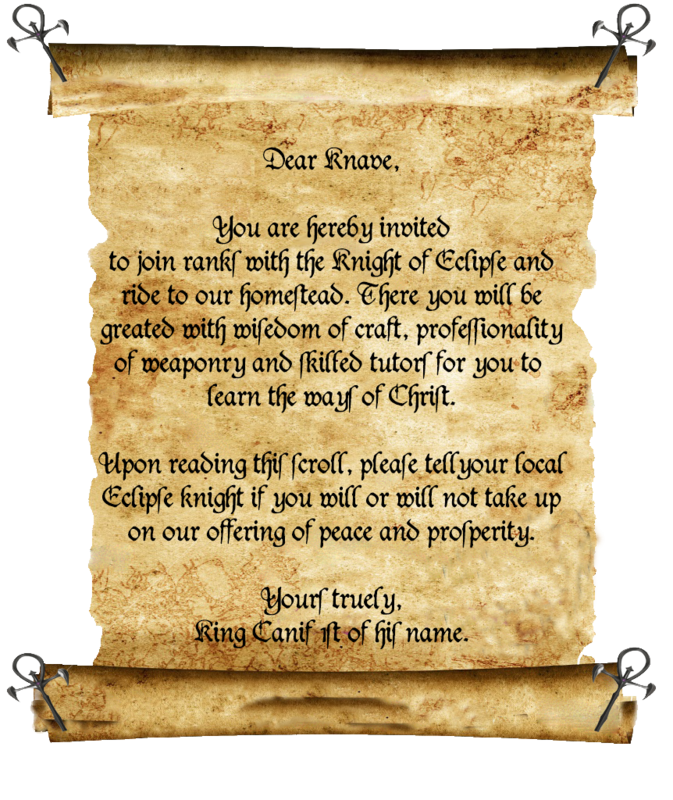 We at Knights of the Eclipse wishes to be a beacon of joy and activity, we help our friends and love to help new recruits gain the skills they want and have fun doing it! So if you want to join a guild that has been around for almost as long as the lands of Epleland do not hesitate to contact us! Our only requirements are that you have discord, microphone and a friendly and social attitude. Our main goal is to live a peaceful life, our origin is one that was filled with misdeeds commanded by a mad king whose heart was filled with greed and war! Since we lived through the hell of the mad kings rule we decided to leave, we then settled on a new piece of land and decided that we would never bow to anyone and treat people the right way. We have good, loyal and strong allies whom we can count on and can count on us. We are creating a stable and peaceful region where the settlers can feel safe and know that they aren’t standing alone. Contact can be sought for through raven. Our diplomats will provide with proper response! Last edited by Canif_Wolfsword on 13 Aug 2018, 00:11, edited 4 times in total. Sic Semper Tyrannis - Knight of Eclipse. Re: [RP ENG/SWE/NOR] Knights of the Eclipse is looking for you! Re: [RP] Knights of the Eclipse is looking for you!